It's taken me a while to get to this book; it's been sitting on my 'to-read' shelf since January following recommendations from friends and family. Daniel returns to his quiet Cornish village after serving as a soldier in the First World War. While he understands he is supposed to be one of the lucky ones, he is haunted by the ghosts of those who didn't make it home, most notably that of his best friend Frederick Dennis. 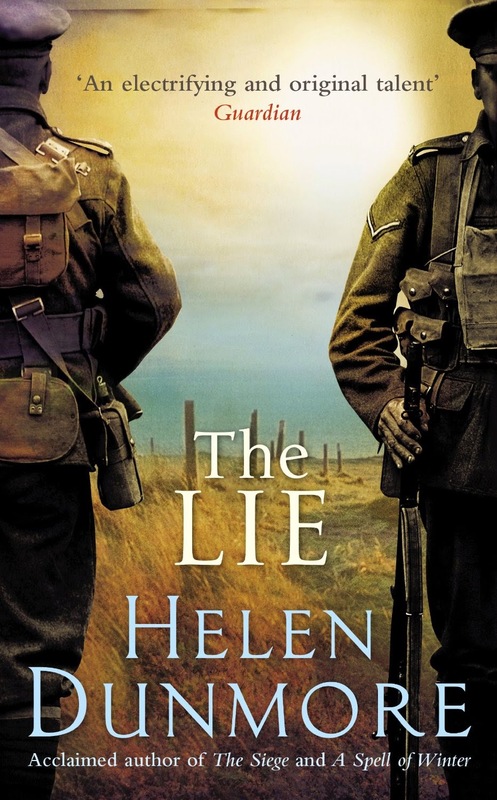 The title of the book is interesting, in that it seems to refer both to the lie he told Frederick's sister Felicia about her brother's death and the lie that catches him in a tragic bind as the novel draws to a conclusion. In many ways this is a quiet story, softly told and understated. The reader is witness to Daniel's reclusive new life, living in Mary Pascoe's cottage, tending the animals and garden and avoiding contact with those he knew before. The exception to this is Felicia, with whom he finds solace as he indulges in memories of happier times with Frederick. Daniel's struggle stems not only from his guilt over his role in Frederick's death but also in the relationship between them, one that he viewed as more than just friendship. Dunmore handles these complex feelings deftly and delicately as the narrative switches from the time after the war to the moments they spent together in France. This is a book which is good precisely because of its subtlety. As readers we are reminded once more that the war had an ongoing effect on an entire generation in a multitude of ways. The conclusion unfolds with heartbreaking inevitability and conveys the hopelessness and waste of war.